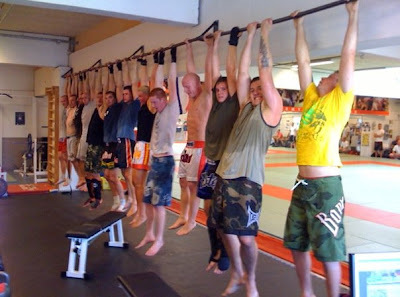 I think most people who train in sports like BJJ find certain training partners along the way, who they "click" really well with both in training and socially. 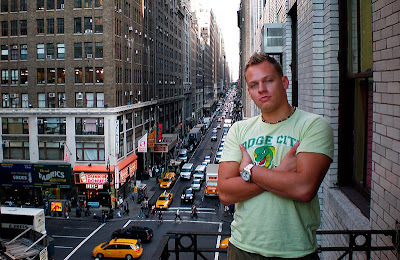 One of mine is Christian Montes, whom I met in his New York gym, Ronin Athletics, back in 2004 when it was very small with less than five guys on the mat. 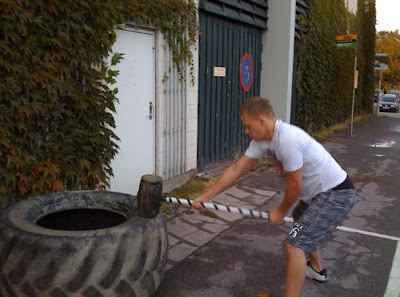 It was immediately obvious, that we had a very similar approach to BJJ training, and whenever I train with him, I always get a ton of little details to take home and implement in my own game. Although I only go visit for few days every year, I consider Christian one of my very best friends and I feel that our almost parallel careers and development of technical level within BJJ, provides us with some unique sparring that is really worth a lot to me, both on the mat and business wise. Ok so here is one of the tutorial videos I shot while I was in New York. The armdrag single is my number one takedown and one I have been working a lot on for a long time. I have pulled it off countless times and many people have asked me to do a tutorial on it, so here we go. Really it is a pretty simple move, the key is all in the little details, which I have tried to explain as good as possible in the video. 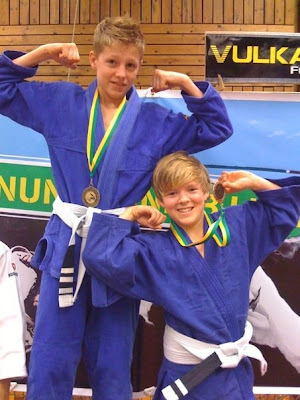 I also added some - more or less successful - examples from sparring and competition in the end. Speed and explosiveness is needed for this move, just like most other wrestling, but with some practice I think anyone can pull it off. I hope you like the video, feel free to leave a comment so I know that someone is actually watching it :) Thanks to Gunni Nelson for the help as dummy! More video tutorials to come soon! 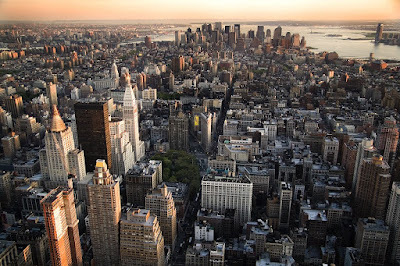 So, originally it was my plan to go to New York for nine days and spend all my time on training. When I was in Mexico and only had a few days left, I checked the weather report for New York and made a quick decision to go to Cuba and Jamaica instead. Missed the president election in NY and lot of the training, but the experiences of the extended travel was definitely worth it. When I got to New York, I really wanted to do some training, since I hadn't done anything but drink and relax for three weeks. Unfortunately, most of the guys were at the NAGA tournament that weekend, so it only ended up being a little training thursday evening and a very good session on sunday. I heard that brown belt Gunnar Nelson from Iceland - who just fought and won in my last Adrenaline show - was in town for the NAGA tournament (in which he won gold no-gi and silver gi btw), so I called him up and invited him for some training. Despite I - as the only one - had a TERRIBLE hangover, and was seriously out of shape from following the Cancun Conditioning program for a long time, we had a really cool training with lots of nice details shared between us. I shot some video of the training, which you can find here underneath in an uncut version. Also, we shot some tutorial videos, that I will put only within the next week or so. Good stuff worth waiting for! So yesterday, I was competing for the first time in over two years and I will write a little about it while it is still all clear in my memory. No-gi submission wrestling with special rules. No points the first three minutes. After that, first fighter that scores three points win. One point for takedown, guard pass, mount, sweep and backmount. Submission always win of course. My preparation for this tournament has not been optimal since I have had three injuries which has prevented me from sparring with full intensity and focus. Besides some minor problems with my knee and neck, I have had a very very sprained thumb that has made any gripping with my right hand almost impossible in the last two months. I have tried to spar anyways, but it has been difficult not to think about the thumb all the time, so keeping focus on the sparring has not been easy. A week and a half ago, I hit it really hard and basically cramped out my entire body in pain. I decided to go through with the tournament anyway and just see how it would go. I actually expected to hit the thumb again during a match and then have to leave the competition. I had put more focus on getting the right food and sleep up to the tournament, and I think it made a big difference for my energy level on the day. The primary thing for me with this competition was to just get on the mat again, get the feeling back, see how I would react and how well my game would work under pressure. During the matches, I had a lot of focus on relaxing, thinking and just play technical and smart instead of just powering through. I was also a little worried for my conditioning because of the lack of hard sparring in the recent months, so therefore I would put extra emphasis on being as economical with my energy as possible. Strategically, I had made a gameplan that was the result of going through my a-game gameplan in training over the last three months. I have taken some things out and simplified it a bit for this tournament, so it was really a minimum of techniques I would be looking for. In the clinch I had two scenarios. 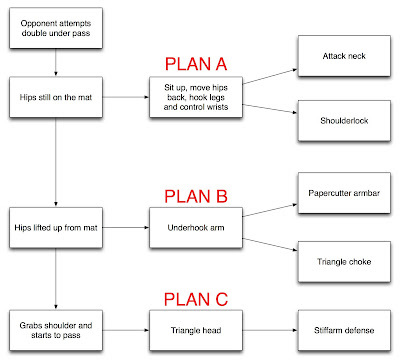 If I could control the pace, I would set up the Marcelo Garcia style armdrag to single leg setup, which is basically my number one takedown at the moment. 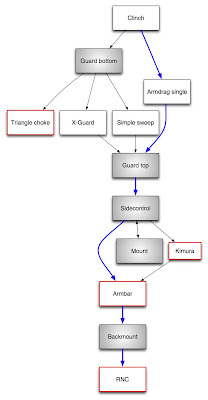 If I felt like it would take too much energy to clinch with my opponent, I would simply pull guard and go for a sweep, where X-guard and simple sweep are my two favorites. 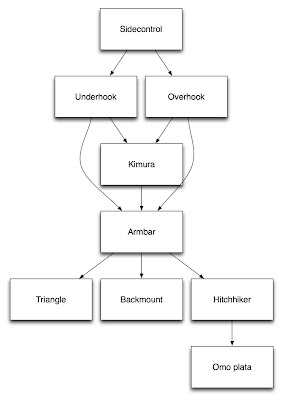 While on the ground and on top, I would do anything to get to sidecontrol, where I can set up the kimura or armbar from baiting the opponent to underhook. In case I needed to take some energy out of my opponent, I would go to mount and make him work a bit from there. Basically I think it went really well in all my matches. Naturally, my mind was playing tricks on me up to the competition, and I was a little worried about how I would perform after being away from the scene for so long. I can only conclude, that competing daily in the gym has definitely been enough to prepare for a tournament mentally, as I felt really good and confident in my technique while on the mat. Amazingly, I didn't feel any pain at all in my thumb the entire day. It was probably adrenaline or maybe the laser treatment I got the day before really helped. While preserving energy and feeling confident worked great, it was also this lack of intensity that cost me the spot in the finale, since I got caught with a kimura while in halfguard top during a short moment with lack of focus and a little overconfidence. Besides that, I pretty much executed the gameplan perfectly in all matches, so I am satisfied with my performance. My first match was against an opponent I know a little about, since I have been watching a lot of his pro MMA fights over the last few years. Nice guy who I have known for a while. From watching him grapple before, I expected him to come out with a low base and handfight, so that was perfect for setting up my armdrag single. It went as expected and it didn't take long before I got the grip I was looking for, and while having executed this move a thousand times in the gym, I pulled it off without thinking about it. Unfortunately, I did not get enough of my weight pulled into him to move his leg and break his base enough, so I had to swith to a double attempt and then a single. 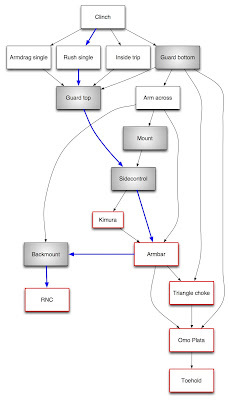 I went right into a scramblepass and ended up in sidecontrol where luckily he had the underhook ready and my armbar/kimura setup was right there. This was an unknown opponent, but I saw him fight my first opponent, so I kind of knew what to expect. Muay Thai background so he was playing really hard clinch and going for the double necktie to power me down. Big strong guy, so I wanted to make him use a bit energy before I tried to finish him off. Due to his aggressive clinch, I did not expect to armdrag him, so I let him try and catch me for a bit and was just waiting for us to clinch up so I could pull guard and sweep. Worked fine first time where I butterfly sweep to mount but he manages to escape. Same recipe again, and this time I got an X-guard sweep, pass and was setting up the kimura. I felt he still had a lot of energy to power out of it so I decided last second to bail on the kimura and go for the mount instead to win on points. The quarter final against another MMA fighter. Again a physically strong opponent, but I was confident that technique would overcome strength :D I had no idea what he would try, but his clinch seemed aggressive so I pulled guard and went for a footlock. He has very strong legs so I decided it would take too much energy to try and finish it. Sat up instead and passed the guard while setting up a bicep slicer on the way. he was not tapping to that, so I baited the underhook and finished by kimura. Besides competing in the gym almost every single day against a bunch of really skilled teammates, it has been a very long time since I have entered any sort of competition. I always have a lot of projects going on, and given my time consuming roles as full time gym owner, promoter, coach and instructor, it has been difficult for me to find the required time and energy to focus on my own training enough to compete again. Last time I competed was about two and a half years ago and shortly after that, I got a pretty bad pelvis/hip injury from a deadlift, that has held me from doing any form of lower body (and thereby cardio-)training since. These factors combined has put my focus on all the other factors of the sport besides competing. I have tried several treatments for my injury over the last few years, but nothing has really worked until recently where a friend of mine referred me to a physiotherapist of his. Over the last two months, I have paid her for literally torturing my body, and finally I see some results. I can now run, squat, jump, etc. without feeling pain for a week afterwards. It is not fully treated yet, but definitely going in the right direction. With my newly acquired luxury of being able to actually train my lower body, I have decided to join my team in a submission wrestling tournament next saturday. 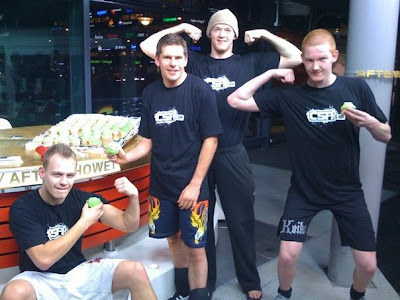 We are 29 competitors from my gym and I will join them in our quest to gather most points and win the team contest. Now, getting back in the competition game is gonna be a long term, slow starting thing for me. I think that technically I could not be better prepared. Physically, I would rate myself to be about 75% of my potential in my current weight class. Mentally, I am obviously lacking experience and I am totally out of the rhythm in this area. Nerves or concentration has never really been a problem for me during matches at competitions in the past, and I have always felt confident in my game, so I hope this will also be the case saturday. Naturally, my mind is playing tricks on me these days about my confidence in getting back on the mat after such a long time and with high expectations for myself, but I am aware of it and working on turning it all to my advantage. So these are some of my thoughts about getting back into the competition game. I will be sure to post here after the tournament to evaluate my performance and also put my matches up along with the gameplan I had been using (not gonna reveal that for my opponents just yet ;-)). I have not been posting a lot on this blog lately. 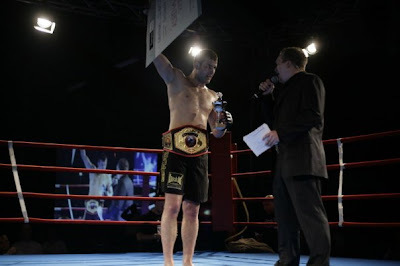 The last few months I have been really busy preparing Adrenaline 3, which was my biggest MMA event to date. The preparations were done well, so everything went smoothly on the day and I could really enjoy experiencing the whole show, audience and fights. The fights were awesome and had some of the most spectacular finishes I have ever seen, including one guy getting hit by a kick to the neck in the title fight and just kept standing up while being completely knocked out. 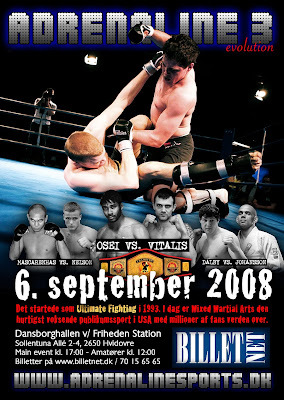 We had three guys from our team fighting MMA at this event, and we had put a huge effort into preparing them for these fights. They were very, very hard matched and all three lost their fights. That is what happens, and I don't want my own fighters to get easy matchups at my own show. The most important thing is, that the whole process of preparing the guys for the fights have been amazing and they have all taken a huge jump in skill level since we started. Win or lose, I am very proud of all of them. It was probably just a regular training for everyone else in the class today, but I managed to go through a full day of training for the first time since a got my injuries a few weeks ago. I can only use my right hand as a knife-/judochophand with my thumb in, but it worked out pretty well for me today. Since I couldn't control my opponents wrist with my right hand, I had to work on getting under- and overhooks in the guard instead an voila, an oooold friend, the butterfly sweep, just came by for a visit. Anyways, I managed to spar for a total of about an hour and a half, then did some pullups and work in the rings afterwards. 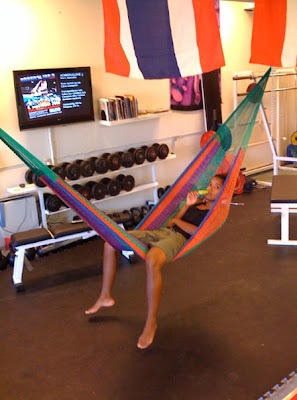 We just got a new 8 meter pullup bar with rope and rings, and all our weights have been collecting dust since it came up :D We also bought a hammock to hang in it, which I use a lot in the daytime when just relaxing before class. 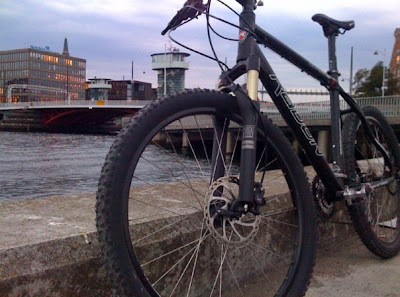 Besides the training, I am getting to ride my bicycle a lot these days due to the nice weather. It is almost meditating to just stroll home through the city for half an hour after a good, hard practice. I have had a really good period with no injuries since february and training has been going great in a very high intensity. Then last week, I got three injuries almost at once. My old neck injury came back, I got some small problem with my knee and I have sprained my right thumb badly from one of the guys upkicking it from guard. I almost forgot how annoying injuries are, but I guess it is the price I am paying for the life I am living :) I am getting some good treatment and hope to be back on track as soon as possible. I need to be able to train because I am promoting my next big MMA event, Adrenaline 3 in one month, and there are many guys from our gym who are fighting and could use me as sparring partner. For now, I am sticking to coaching them and organizing their training, drills, gameplans and so on. To watch the rest of them, visit www.csa.dk. Last weekend, we held the annual gym summerparty. We had a barbeque on the beach and the weather was perfect. It was also time for the finale of another tradition we have in the gym: The Gun Festival. Basically it is a competition about who can increase the size of their arms most in two months. There is always a lot of hype and trashtalking going on in the gym for those two months as we all pump our guns intensively to win the competition. Last year I won with an increase of 7.7% and this year I made it to 11.16%. However, this was not enough to win the competition, as one of the other guys increased impressive 11.59%. So I had to give up the throne and now I must listen to him the next year until I can win back the title. I finally got myself a new videocamera, so I can make some more clips for the blog here. 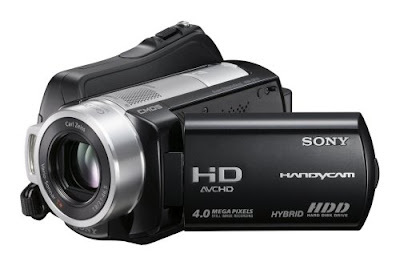 It is a really nice Sony Full HD camera with a harddrive, so I don't have to worry about tapes anymore. So, been about a month since I last updated the blog. I am still training consistently and with no injuries, which is awesome. I have had a really, really good period lately, where training has just been amazing. Every single roll had taken me straight into the zone. That all changed monday. Maybe it was the heat and dehydration from training with the gi, maybe it was all the other guys who had a really good day, maybe it was... I don't know. It just didn't click for me, and I felt the same way at training today. My body felt tired, overtrained and my head has not been clear. During sparring, it felt like I was just waiting for my body to start pulling off the moves I am currently working on, but nothing happens. I realize, that this is a period I must fight through to come out stronger on the other side. I am trying to push myself to work hard even though I don't feel like it. Other than my sparring having a little down period, life is great. The summerweather here has really picked up and the sun is now up till around 10:30pm every night, which really fills me with energy. 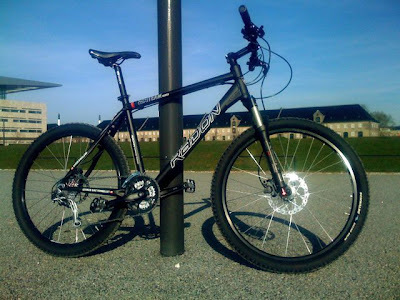 I am riding my newly imported German mountainbike to the gym and back daily, totaling about 75 enjoyable minutes a day. 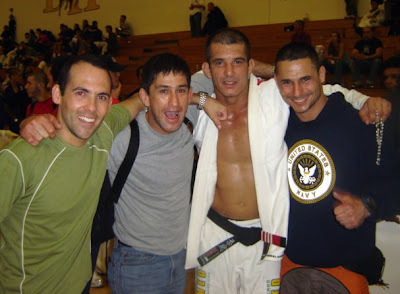 Recently, I have wondered a bit about, what I could say was the most important thing for me in the process of improving my skills in BJJ, MMA etc. I feel that my game is constantly improving. I can feel a difference in my skills on the mat from one month to the next and I can see that I catch more new submissions, escape more cleverly, analyze the opponent better, see more openings etc. etc. But what is it, that makes me always improve, when I see other guys have the exact same game year after year, never implementing anything new, never improving or exploring what they already know? They all make a concise decision to improve their game. Those who never stop improving, are the ones that are always "working on something" when they are training. I do this ALL the time and it suddenly makes sense that this is the most important factor in getting better at Jiu Jitsu for me and almost everyone else I have come across. Beginners are always improving and eager to learn. I have yet to come across a beginner, that was not interested in learning something new and experimenting with it. But when you get to a certain level, where you have a good understandment of the basics and found a few moves that are your favorites, it is not directly necessary for you to improve, in order to survive a class and a sparring session with your team mates. You can hold yourself against most sparring partners, just with the basics and the few moves that works for you. This is the critical time for you to make a concise decision to improve. It is SO easy to just lean back and play safe with the skills you feel comfortable with, instead of running the risk of trying something new and failing. I have named this phenomenon "A-Game Camping", because I see these guys just camp out in their A-game without making a decision to improve it. - Learns new move in class - goes straight back to A-game in sparring. - Have a low "technical level" vs. "sparring hours" ratio. - Have a handful of solid moves. - Can have the same game for years. - Not taking many chances in sparring. - Rarely exposing holes in own game on purpose. - Learns new move in class - tries it out again and again in sparring. - Always "working on something" during sparring. - Can name X number of moves after sparring that he was experimenting with. - Always thinking of moves to try out when back on the mat. - Fails and taps many times in sparring, but becomes very skilled in the long run. - Often exposing holes in own game on purpose. - Outperforms A-game Campers in a relatively short time. Of course, this is a very rough way to put things, but the point is, that if you want to improve your game, you MUST make a concise decision to do so. Decide with yourself what you need to improve on and make the decision to do it in every opportunity you get. It can be a specific technique, a position, a transition or maybe a mental aspect. I like to keep my list simple with as few things to work on as possible. 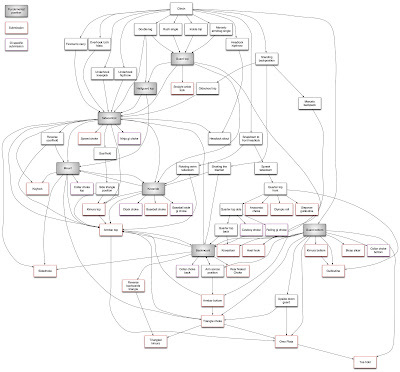 Funny thing is, if I have a period when I don't write down my current "projects" and I then decide to do it, I realize that the list i huuuge and I really need to cut it down and focus on less areas. So writing it down also keeps my focus on the most important areas of potential improvement. EDIT: I wrote this when I was a little tired and might not have got the definitions out exactly as I meant them. By A-game camping, I don't mean only working on your A-game, which ofcourse there is always a time and place for, and which is very important. I am talking about only surviving sparring by holding on to what you know and not working on improving it. The point is to make a decision to improve, no matter what area the improvement is on. It can be anything from improving your timing in your A-game, escaping mount more often, working on your "poker-face" or learn a fancy new spinning heelhook. Don't be fooled by MY list, that often has fancy techniques on it. I am fully aware that most people will never do those techniques that I am working on, and that is perfectly fine as it should be. The "B-game Explorers" was maybe the wrong term, since I by "B-game" only meant areas in your game that can improve, and that is - as we all know - everything. So I can see where confusion on that term can arise. Today in the gym I had one of those days, where every single round of sparring was just pure pleasure. 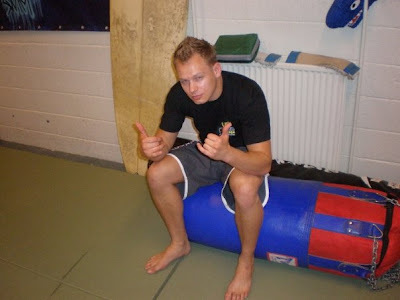 I feel my jiu jitsu is better and sharper than ever and my body is pulling off techniques, setups and combinations I have never seen before :) Maybe it is because I can finally go full intensity after my long period of injuries, I don't know, but it is a really cool feeling that I thought I would share on the blog. Also, I am starting to go some more rounds of MMA sparring in my class twice a week. It will take some time to get back up in gear with it, but I think my technique is pretty good. I see a lot of stuff especially on the ground, where I try to focus on setting up grappling with strikes and strikes with grappling. 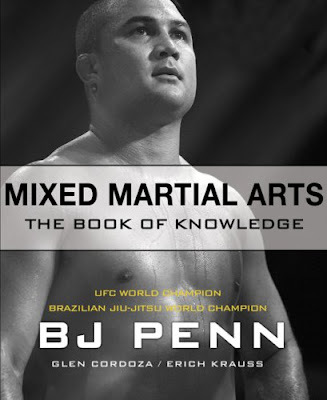 Something I was inspired to think more about, when I read my latest book purchase, BJ Penn's MMA book. I own a pretty big library of MMA, BJJ, wrestling and Judo books, but I think this is the best one I have read. There is a lot of cool basic technique in it and BJ seems like a very intelligent fighter (I would have expected that anyway). His approach to MMA fits perfectly with my own game and fighting style. The book is highly recommendable and I got it for silly $15 or something on Amazon. We just bought two new 32 kg kettlebells for the gym this weekend. 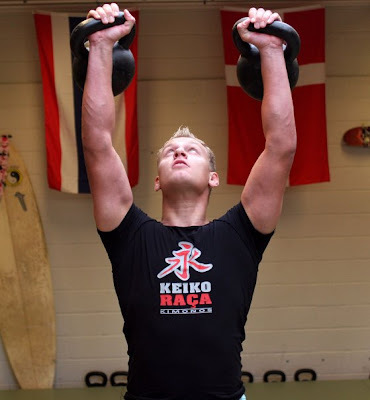 It was a very exciting moment for me to meet those two balls of metal and it kind of re-sparked my interest in kettlebell training. I did a little workout with them saturday and was extremely sore sunday, so it was a great feeling. 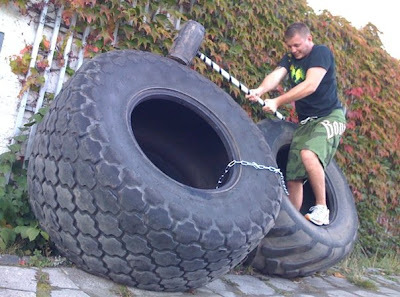 I should do some more of that, it takes a lot of strength and control compared to the 24 kg I have been using for the last few years.